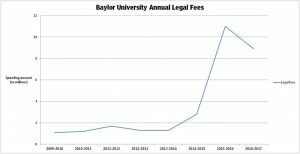 Baylor University’s legal fees have almost quadrupled in the last year and have been steadily increasing over the last few years. Their IRS tax forms show that since 2009, the amount has increased by around $8 million after drawn-out sexual assault investigations and major lawsuits and settlements, reports the Waco Tribune. During the 2015-16 school year, Baylor hired law firm Pepper Hamilton LLP for $4.2 million to investigate how the school handles their sexual violence reports. During that year, Baylor spent more than $11 million in legal fees. Baylor claimed the documents were legally protected from being made public, but the judge ruled that Baylor waived that privilege when they announced certain details in a 13-page summary, according to The Texas Tribune. Baylor sexual assault victims have come forward to claim the university mishandled their cases by denying them of educational rights after the assaults. 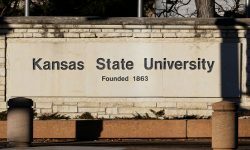 The victims also believe the school’s own policies elevated the sexual assault trend on campus. After releasing the summary of the investigation, along with the recommendations from the firm, Baylor announced there would be changes in leadership. They fired Ken Starr from presidency and head football coach Art Briles. It is reported that a deposition took place in June when Regent Phil Stewart administered his own investigation on the work of Pepper Hamilton. Many believe Baylor has been covering up the sexual assaults on their campus for years. 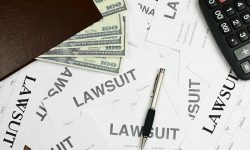 To add to their legal issues and spending, Baylor settled with four different women who sued under Title IX. There are multiple investigations in the works from the U.S. Department of Education as well. They are exploring Baylor’s Title IX and crime reporting procedures. 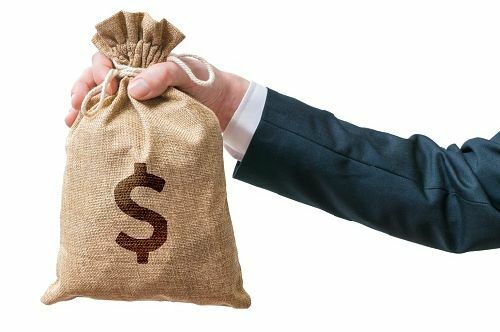 Peter Lake, a law professor at Stetson believes higher-ed schools are facing more legal expenses than ever and are not prepared. You can read all the Campus Safety articles on Baylor University here.